We offer a variety of different sizes of yurts to hire, ranging from 9ft and 10ft diameter camping yurts through to our majestic 60ft diameter event and wedding yurt. To our knowledge this is the largest of its kind in Europe, if not the world. So not only does it provide a stunning space for entertaining, it will also help to make your event truly unique and memorable. Our yurts provide beautiful spaces to grace any event or setting, whether its a party, wedding, exhibition/performance space, festival, or simply an extra room in the garden, our yurts will add something truly magical to any occasion. Whether you need a light, airy and spacious structure or a cosy retreat from the worst of British summer weather, we have a yurt to suit your requirements. The possibilities are endless ; please get in touch if you would like to discuss how our structures can work for your event. Previously our yurts have been used for a variety of events from festivals, weddings, zumba, story telling and much more. Our 60ft yurt in particular makes an ideal and unique space for weddings, music festivals, performances, workshops, corporate and charity events. Our 60ft and 35ft wedding yurts provide a welcome change to standard venue structures and the 60ft yurt has been described as the most atmospheric venue at the weddings and festivals it has been used at. 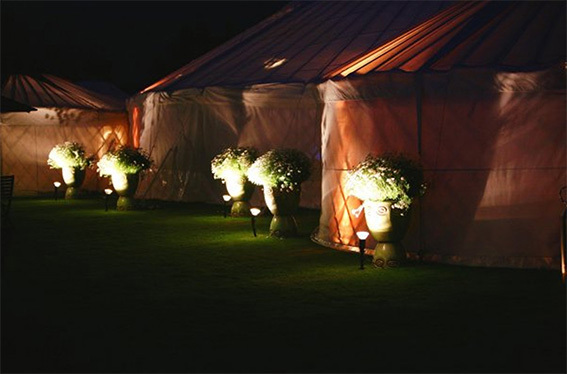 We have a wide network of associates and other companies we have worked with, and as such are able to source most sizes of yurt, as well as other accessories, and recommend specific suppliers. If there’s something we don’t have that we think would be more suitable for your event we will suggest it. Our yurts come fitted with a flame retardant, water proof cotton canvas, flooring, and we have full public liability insurance. Our larger yurts have been structurally tested and we have full wind loading certification. We can also deliver our yurts throughout the UK. Long term hire options are also available, get in touch and we can chat about the possibilities. somehow managed to create a romantic, intimate setting that was still large enough to comfortably seat over 130 people (with plenty of room for more than 200 to dance). It was truly wonderful. Thank you once again."